311 prove that sometimes sticking with what you do best can yield great results. I’m about to go out on a limb here. As for how, we'll get to that shortly. 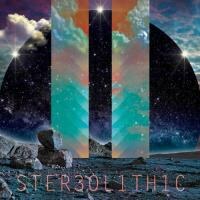 Stereolithic is 311’s 11th album. It’s a break from the majors into indie self-release territory, and a reunion with producer Scotch Ralston, whose presence hasn't been heard on a 311 album since 1999’s Soundsystem. I say going out on a limb because I rate the album an 7, while more than a few critics have trashed Stereolithic for reasons that make me wonder if they were listening to the same album. In the six- to eight-month span or so leading up to the album’s release, rumors floated that Stereolithic would touch on “darker” themes. This came as quite the surprise indeed, given this band’s predilection for funk-reggae-rap-rock fusions overflowing with joy and upbeat feelings. The album does delve a bit into darker themes, but it doesn't turn into a funeral dirge along the way. In a twist that is expected from a band like 311, they turn their lyrical focus to themes of confusion and uncertainty, mixed with the struggle to overcome. They even manage a somewhat forced-sounding combo of “ode to simpler times + rant against climate change". This and other left turns can come off as a bit jarring, but they are just a handful of glitches on an album that is otherwise well done end to end. Bob Rock succeeded in fusing a heavier dose of sturm und drang into 2009's Uplifter and 2011's Universal Pulse. It made for a nice change of pace, but even so, this insistence on crunch above all else drowned out some of the more mellow grooves that 311 were known for. Uplifter's “India Ink” likely would have sounded like more of a ballad with just about anyone else at the boards. On this album the presence of Scotch Ralston is apparent from the get-go. “Ebb and Flow” is classic 311 teleported from the 1990’s, but with 20-plus years of experience behind them to make it sound like a far-improved version of that previous flavor. “Five of Everything” is a withering slap at crass consumerism delivered with the tongue-in-cheek flair that 311 does so well. “Showdown” brings a bit of classic '90’s bratty 311 braggadocio and swagger. This swagger is tempered, since much of the bratty feeling is scrubbed out in favor of a little bit of “veterans showing you how it’s done” bravado. And while such censorship can come across as cheesy, a little self-censorship for humor’s sake gives “Make It Rough” some much needed brevity (“Shut the front door,” anyone?). Further on, the band dips into more straight-up positivity with “Simple True”, and summons a sense of frenetic urgency on “The Call”. Once again, these are not songs that suggest a brooding, gloomy affair. The rumors did prove to be true, and some darker themes are dealt with on this album, but all are dealt with through the lens of overcoming adversity in all its various forms. Considering the source, this is only logical. Universal Pulse had one of 311’s best closing numbers with “And a ways to go…”, but Stereolithic makes a strong case for knocking that one out with “Tranquility”. Even dabbling as it does in a very slight bit of autotune, it’s just the right kind of cool-off song to wrap up an album that spends its running time toggling neatly between ballads and more sprightly fare. Even the short end track with wind chimes doesn’t feel hackneyed or tacked on for effect -- it just works, pure and simple. 311 has turned in a fine batch of songs here. They're sticking to what they know, and here it feels not like a tired retread but a welcome visit from an old friend who hasn't been around in a while.